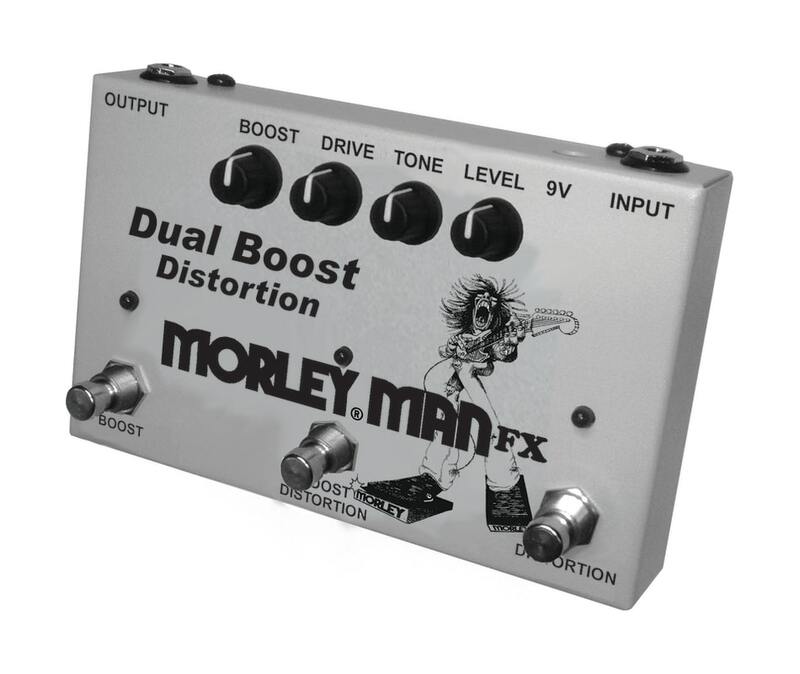 In classic analog overdrive style distortion, Morley's Dual Boost Distortion pedal delivers! Enjoy its footswitchable boost in distortion mode and separate switch for clean boost in any mode. This pedal is great as stand alone distortion or to enhance and boost your amp's distortion. Triple LED's show when Distortion, Distortion Boost and Boost are on/off. True Tone Buffer ensures signal integrity and tone and helps drive longer cable runs! Complete in a cold rolled steel housing, quick clip battery door and powered from a 9v battery or power supply this pedal is ready to rock.